The kidneys are responsible for filtration of blood and removal of waste products of metabolism. Next to this function, they are also involved in the regulation of the body’s red blood cell mass and blood pressure, both of which are essential for homeostasis. For the former they sense renal tissue oxygenation and release erythropoietin (EPO), triggering the production of erythrocytes. Renal oxygenation thus has to reflect overall oxygen (O2) demand. Malfunction of renal O2 regulation can affect red blood cell mass and may lead to the pathogenesis of chronic kidney disease. To date, kidney O2 regulation is poorly understood. With the help of computational methods and using the latest supercomputers, we aim to determine oxygen distribution in the kidney. 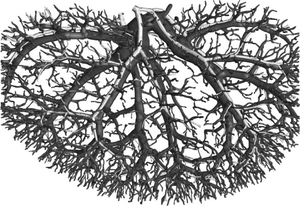 The proposed project involves the use and enhancement of mathematical models of oxygen transport in tissue. 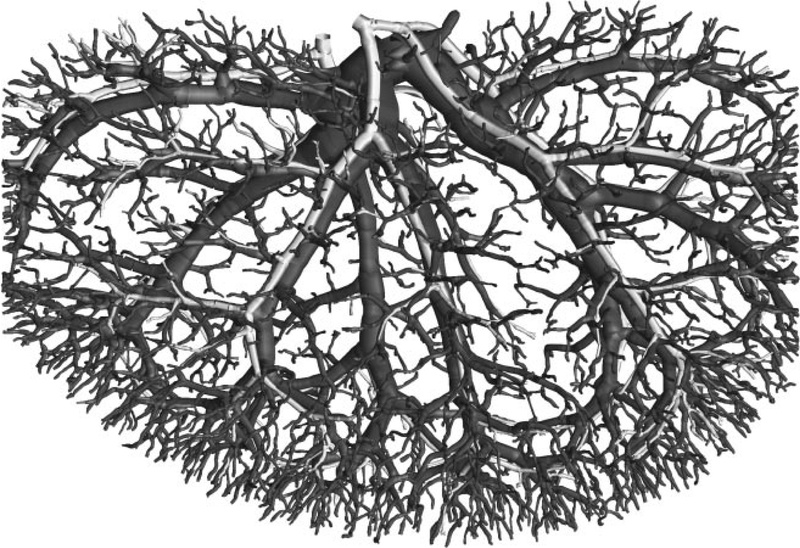 The studies will start from simplified models, which will be validated against literature, and ultimately applied to the actual vascular structure of the kidney (see Figure). We are looking for students with a background in mechanical, biomedical, electrical engineering, computer science or applied mathematics, who are interested in computational modeling and its application to biology or physiology. Prerequisites: Background in mechanical, biomedical, electrical engineering, computer science or applied mathematics.